Home Providers Natalie C. Ronshaugen M.D. Dr. Ronshaugen’s areas of clinical interest include musculoskeletal ultrasound, musculoskeletal sports related injuries, concussions, and on the field sports management. She grew up as an athlete herself and has combined her love of sports with her interest in medicine. She received her Bachelor of Science degree in Biology from Nebraska Wesleyan University and then completed medical school at the University of Nebraska Medical Center. She completed a residency in Internal Medicine and Pediatrics at Baystate Medical Center/University of Massachusetts where she discovered the field of Sports Medicine. During residency, she was able to assist on the sidelines for Division I sports at the University of Massachusetts and Holy Cross. 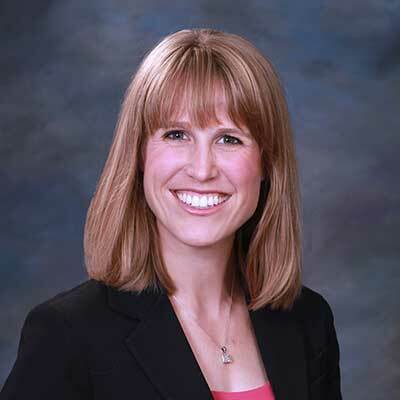 She completed a fellowship in Primary Care Sports Medicine at the University of Colorado where she was the team physician for Northglenn High School and for Denver University’s Division I Women’s Soccer, Volleyball, Women’s Basketball, and Women’s Lacrosse teams. She has assisted on the sidelines for the Springfield Falcon’s minor league hockey team, the Colorado Avalanche NHL team as well as the Denver Nuggets NBA team, and has been the medical director for some of Colorado’s ultramarathons. She is currently a Sports Medicine Physician for Children’s Hospital and Medical Center, where she sees young athletes, and Nebraska Medicine, where she focuses on adult sports medicine.